Available exclusively through Christian Audio. 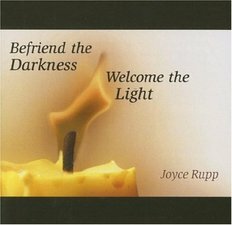 Some of Joyce Rupp’s most perennially popular books have been collections of her original prayers, blessings, poems, and reflections. In Prayer Seeds, a book that won two first place awards in spirituality, she offers almost a hundred new selections on a variety of themes such as the feasts and seasons of the liturgical year, compassion, ministry, difficult times, and significant events such as weddings. This bestselling contemporary classic has sold more than 200,000 copies. The current edition includes a new preface. The focus of the book uses the symbol of a cup to approach various aspects of the spiritual life. 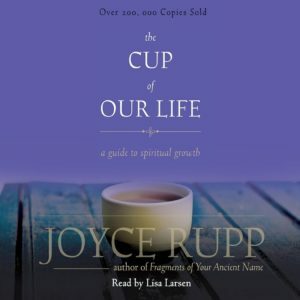 Rupp illustrates how an ordinary cup can become a sacred vessel that connects listeners with life and brings them into closer union with the Divine. She explores how the cup is a rich symbol of life, with its emptiness and fullness, its brokenness and flaws, and its many blessings. With daily devotions for six weeks, the audiobook is ideal for individuals, as well as group usage. Available exclusively through the Servants of Mary Gift Store. 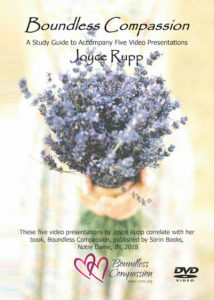 This set includes five DVDs, each one containing an hour-long presentation by Joyce Rupp about one of the topics covered in Boundless Compassion. These teachings are a valuable resource for personal use, for small-group study, or for leading retreats and conferences on the subject of compassion. Available exclusively through Ave Maria Press. All too often we feel overwhelmed by life, unable to rise above our fears and weaknesses. Yet it is within our darkest hour that the light of our finest hour begins to shine. The file can be downloaded and listened to on a computer, MP3 player, or mobile device. Sales to U.S. customers only. Everyone has had to say goodbye. Experiences of loss abound: death, illness, unemployment, severed ties, financial struggles or geographical moves, to name but a few. 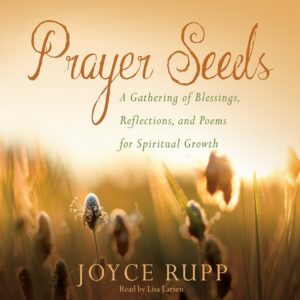 Joyce Rupp has a healing gift for helping readers and listeners to reflect, ritualize and reorient themselves when loss looms large in their lives. In this book, she writes about healing and recovered hope. This audio edition includes six chapters, rooted in Scripture and concluding with questions for further refection. 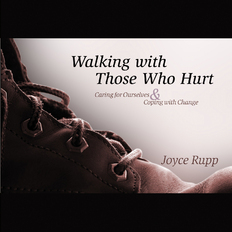 Presentation 2: Coping with Change Walking with Those Who Hurt is an open invitation for those in caring ministries and those who regularly walk with those who hurt to seek the God within. Speaker Joyce Rupp’s central theme is that by growing through suffering, we are able to be compassionate with others who are hurting. 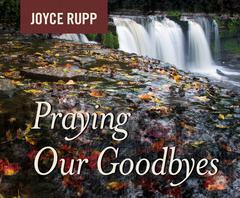 Her insightful presentations convey a deep personal sense of the journey through grief. In her first presentation, Rupp explores the ideas of solitude, contemplation, and becoming aware of the presence of Christ in Everyone. In her second presentation, she focuses on the psychological studies of grief and transition while outlining the difficult process of change in everyone’s life. She addresses such issues as how we deal with change, different types of loss, the often overwhelming mix of emotions that embody the grieving process, and the stages of transition.